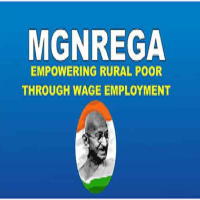 Mahatma Gandhi National Rural Employment Guarantee Act - MGNREGA Recruitment 2017: Apply Online for 927 Accountant, Data Entry Operator/DEO & Various Posts. Mahatma Gandhi National Rural Employment Guarantee Act 2005 is a law whereby any adult who is willing to do unskilled manual work at the minimum wage is entitled to being employed on local public works within 15 days of applying, with a guarantee of 100 days of unskilled manual work per household per year. Online application on Mahatma Gandhi National Rural Employment Guarantee Act (MGNREGA) – New Raipur, Government of Chhattisgarh Recruitment Job Alert 2017 (MGNREGA Recruitment 2017) Accountant, Data Entry Operator/DEO & Various Posts Posts will be starts on 25th November, 2017 you have to successfully submit your application form before 05th December, 2017. Qualification : For Accountant : B.Com. with 55% marks from a recognized Unviersity/ Institute or its equivalent. For Data Entry Operator/DEO : Passed 12th Class from a recognized Board/ Institute or its equivalent. Age Limit : 21 to 35 Years. As on 01.11.2017. Age relaxation is as per Chhattisgarh Govt. norms. Selection Process : Selection process will be based on Written test, Skill test/typing test and Interview. How To Apply : Visit https://www.cgstate.gov.in/web/guest/recruitment to Apply Offline Application Form. Fill the Application Form alongwith all self attested documents and sent by Registered Post/ Speed Post to related HOD of District Panchayat on or before 05.12.2017. Please Read Advertisement carefully before Applying.